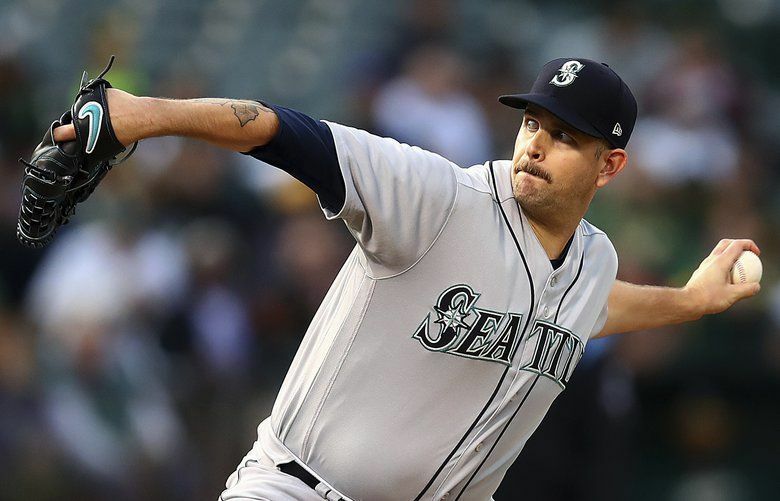 Mariners ace James Paxton had X-rays on his injured forearm, which came back negative. He was diagnosed with a left forearm contusion but the swelling is bad and he will miss at least his next scheduled start. 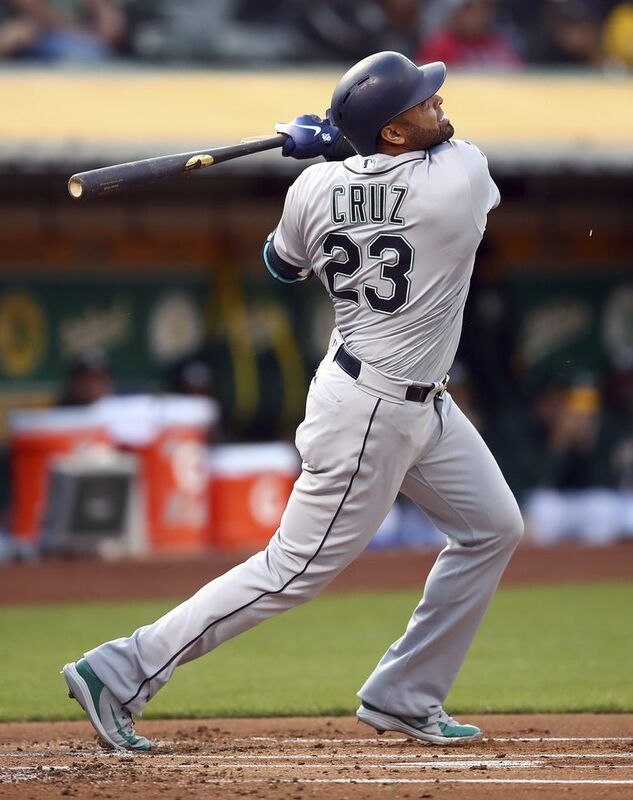 The M's fell 3-2 against rival Oakland. 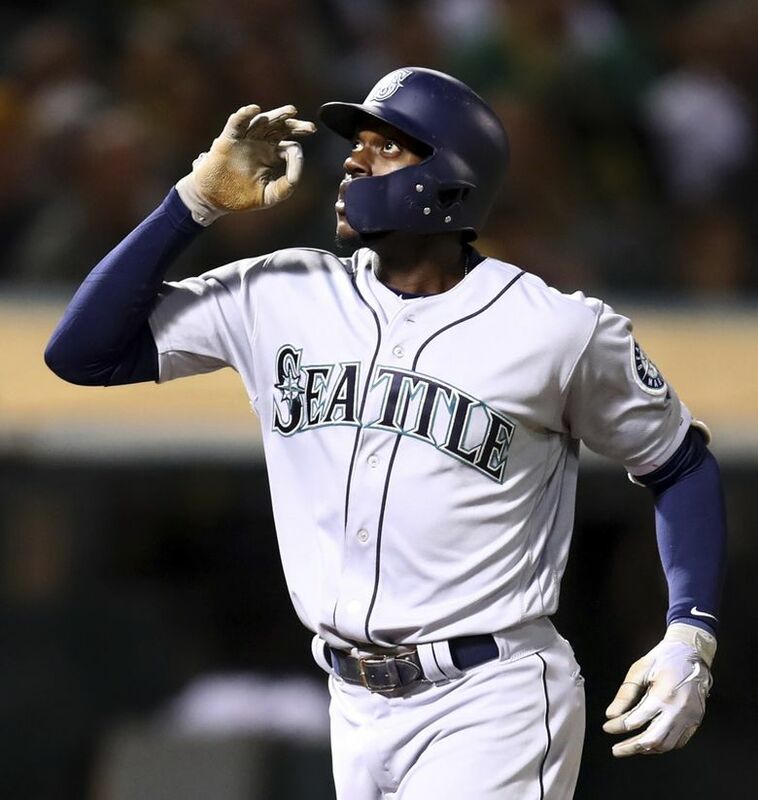 OAKLAND, Calif. — One key player expected to bolster the Mariners to additional success in their push for the postseason returned on Tuesday night after an 80-game absence. 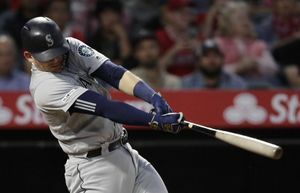 Unfortunately for Seattle, another player, who’s more critical to those playoff hopes, exited the game with a first-inning injury and the length of his absence is yet to be determined, but a disabled stint is inevitable. 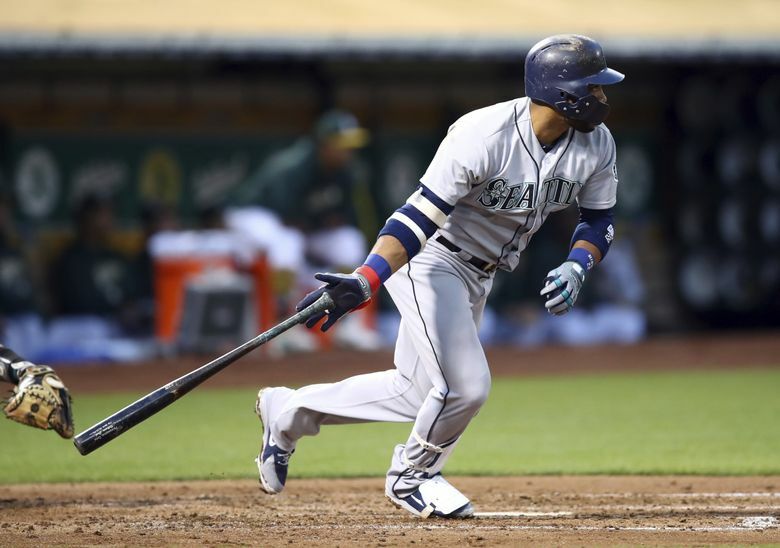 One thing is for certain, Robinson Cano, who returned to the Mariners to be a man of multiple positions, can’t fill the role of James Paxton for the team. 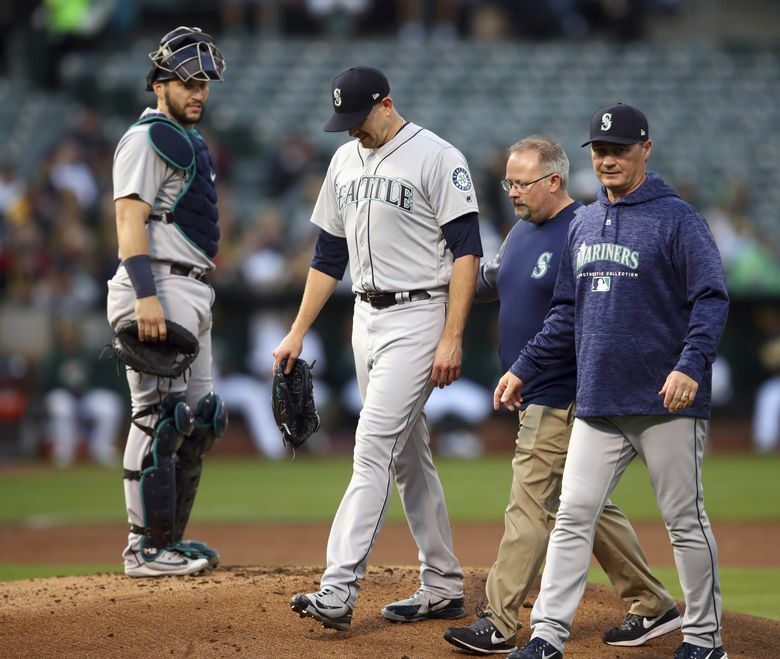 Really no pitcher in the organization can provide what Paxton means to the Mariners’ starting rotation and he’s going to be out for at least 10 days, and probably more. 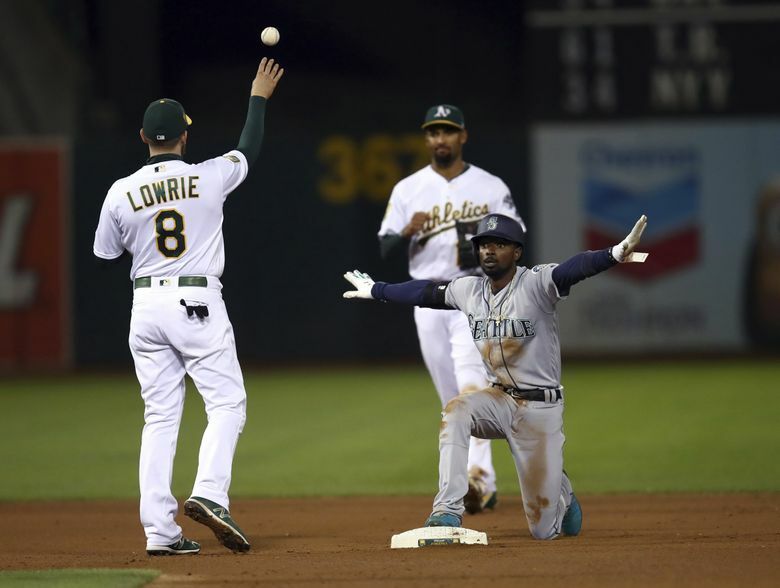 Oh, and the Mariners lost another game to the Oakland A’s in the key American League West series and another game in the race for second AL wild-card spot. 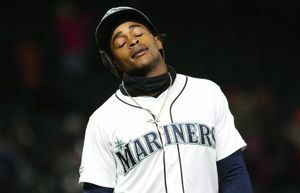 The 3-2 defeat was made significantly worse for Seattle with the sight of Paxton, accompanied by athletic trainer Matt Toth, walking off the field of the Oakland Coliseum three batters into the game, having taken a 96-mph line drive off the bat off Jed Lowrie squarely off his left forearm. Paxton had X-rays on the injured forearm, which came back negative. He was diagnosed with a left forearm contusion. And yet the Mariners were a little fortunate that there wasn’t a fracture of any sort in the forearm. A closer look at the forearm revealed that it’s still very swollen despite icing it immediately after leaving the game. There were visible marks from the seams of the baseball. Paxton was in obvious discomfort. He dressed himself using his right hand and arm only. He attempted to put his watch on his right wrist but couldn’t do it. Cameron Maybin aided that process. This isn’t an unfamiliar injury for Paxton. He was struck by a line drive off the bat of Andrelton Simmons in almost the same spot on Aug. 7, 2016. He returned on Aug. 26, 2016. 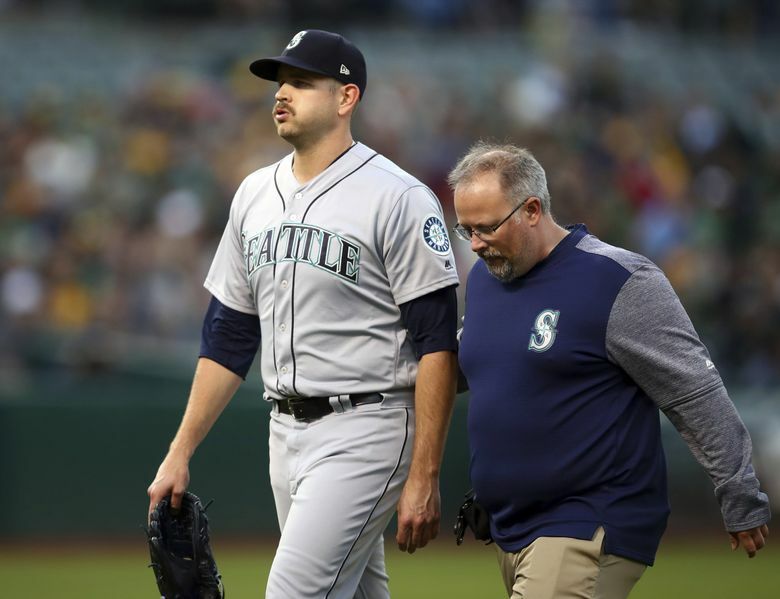 Paxton will go on the disabled list immediately and the Mariners will recall a reliever, likely right-hander Chasen Bradford, to provide another arm in the bullpen. His replacement in the rotation will be the same person who replaced him in the game. You may have heard of him —Felix Hernandez. 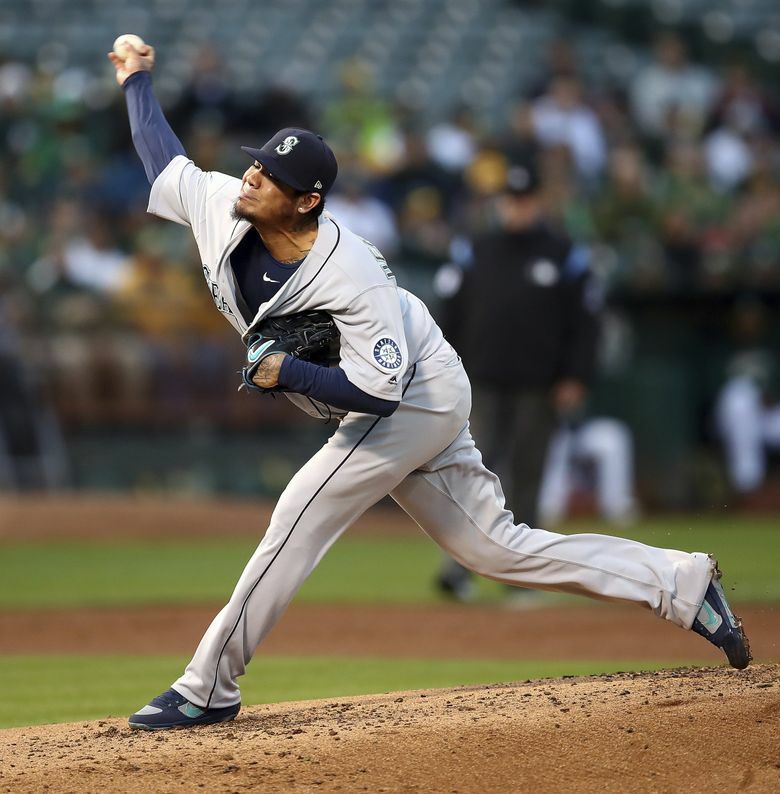 Hernandez, who had been moved to the bullpen during the previous series in Houston, made his first big league relief appearance in a situation as close to a start as possible. He just happened to be in the bullpen in the first inning. He saw the play and knew it was time to pitch. He took some medication, chugged a sugar-free Red Bull and then went to the mound. Given as much time as needed to warm up before throwing a pitch in the 1-1 game, Hernandez took it, but looked a little sluggish, walking the first batter he faced. With runners on first and second, he was able to get an inning-ending 4-6-3 double play that allowed him to catch his breath. Hernandez came back with a 1-2-3 second inning, but a two-out walk to Matt Chapman in the third allowed Lowrie to come to the plate. 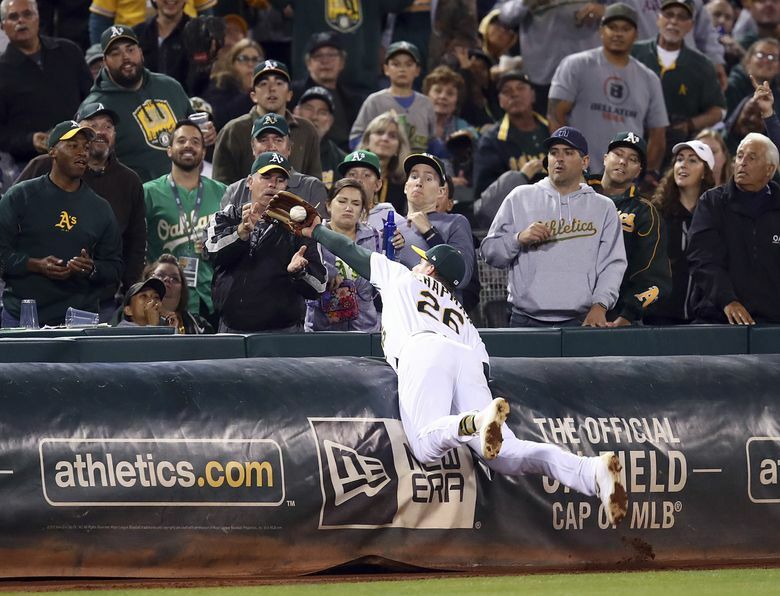 It proved costly when Lowrie pulled a fly just over the wall in the shortest part of right field for a two-run homer and a 3-1 lead. Hernandez didn’t allow a run the rest of the way, pitching 5 2/3 total innings, allowing just the two runs on five hits with two walks and two strikeouts. Hernandez will be slotted back into the rotation in Paxton’s spot. 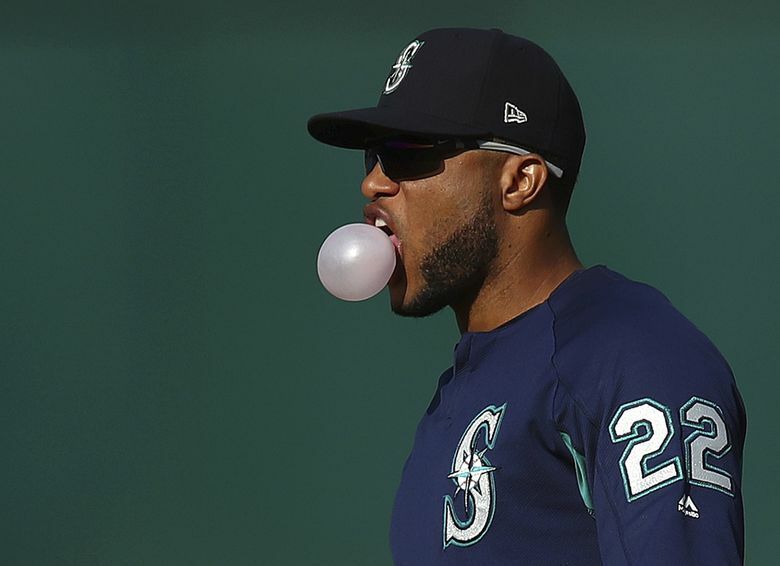 “I’ve said all along that I thought he’d end up back in the rotation, but I was hoping it wouldn’t be something like this,” Servais said. 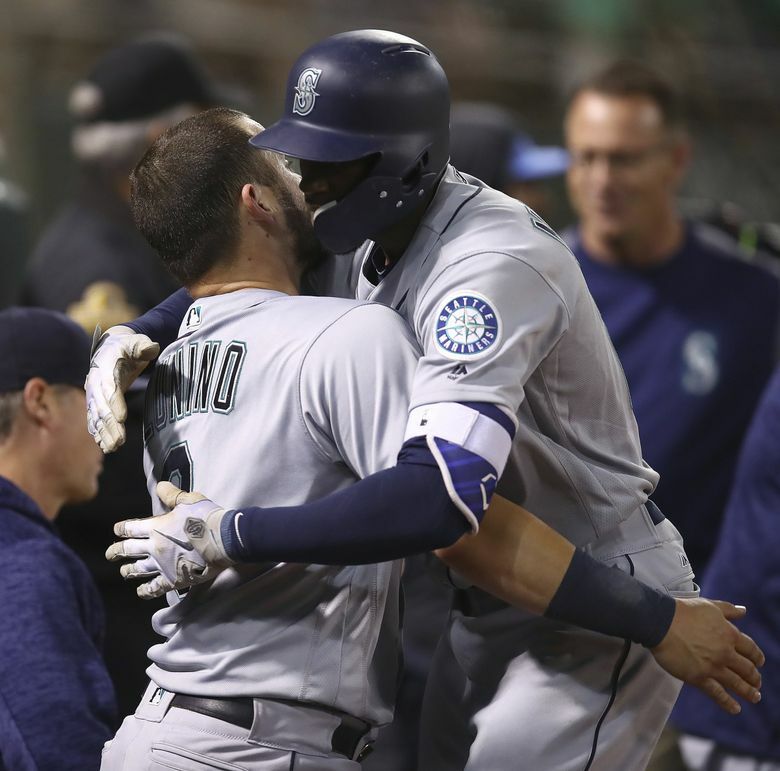 Meanwhile, the Mariners mustered two runs against a pitcher they could’ve claimed on waivers to either block the A’s from acquiring him or used to bolster their own starting rotation. Right-hander Mike Fiers, who was picked up on a waiver trade from the Tigers on Aug. 6, pitched six innings, allowing two runs on six hits with no walks and five strikeouts. 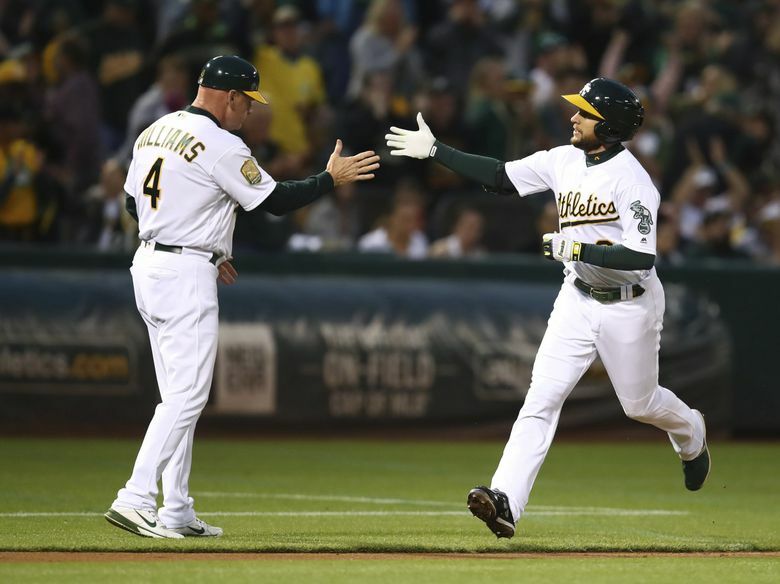 Fiers gave up a first-inning run and a solo homer to Cameron Maybin in the fifth inning, but used a stellar A’s defense to get the win. 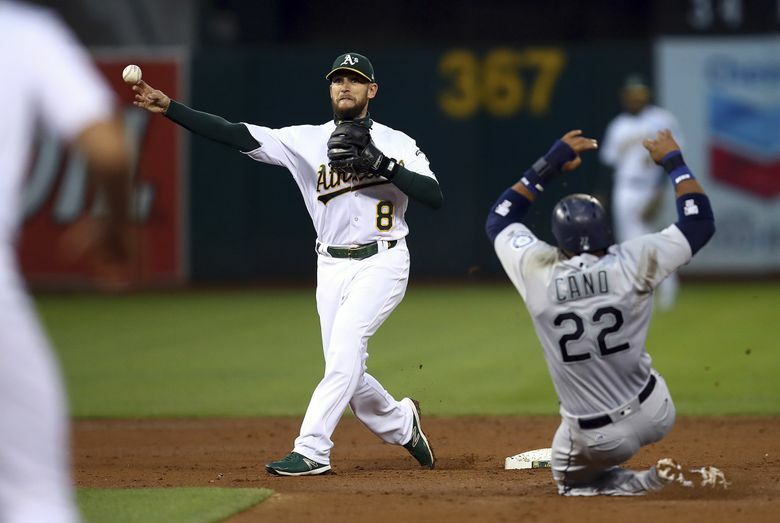 Seattle’s best chance to tie the game was erased by an outstanding play from catcher Jonathan Lucroy. Dee Gordon led off the eighth with a single to right off old friend Fernando Rodney. But Gordon’s attempted steal of second to get the go-ahead run in scoring position was stopped by a perfect throw to second from Lucroy. The Mariners got a pair of two-out singles in the ninth off closer Blake Treinen, but the A’s had Mike Zunino shifted properly and his ground ball up the middle was the game-ending out.